Did you know, PVC tablecloths are the perfect solution for anyone running an event? Whatever the scale of your event, a wipe clean tablecloth will not only look fantastic but it will also save you a lot of clearing up too. Lots of small business owners use our tablecloths when they’re attending summer shows, matching the colour of their wipe clean tablecloth with their product display. There are so many wonderful designs to choose from that a Wipe Easy tablecloth is a relatively inexpensive way to decorate a table for a special occasion. You can browse by pattern to match your tablecloth with the overall theme of your event, or you can browse by colour to create a really eye-catching display. 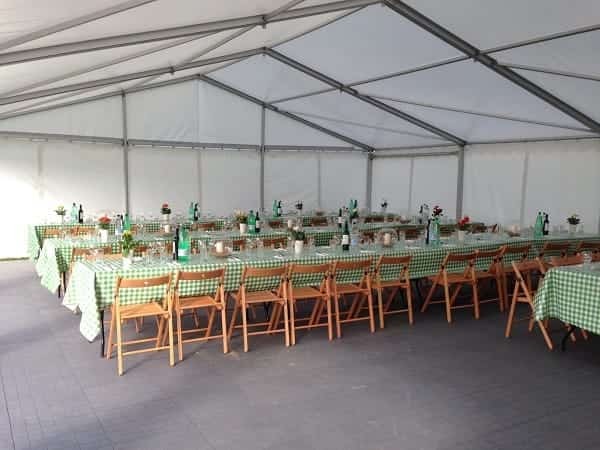 A PVC tablecloth is also a hugely practical choice – you’ll be able to make your table look nice for the duration of your event as any spills or mess can be cleared away with a quick and simple wipe with a clean damp cloth. Remember too that we supply a range of table clips and weights too so you don’t need to worry about your PVC tablecloth blowing away in the breeze when using it outdoors. Browse all designs or visit our Help pages for more information.